ABFSM – 10 10 Liters 16 Liters 1.5 H.P. ABFSM – 15 15 Liters 24 Liters 1.5 H.P. ABFSM – 20 20 Liters 32 Liters 2 H.P. ABFSM – 30 30 Liters 48 Liters 3 H.P. ABFSM – 50 50 Liters 80 Liters 5 H.P. 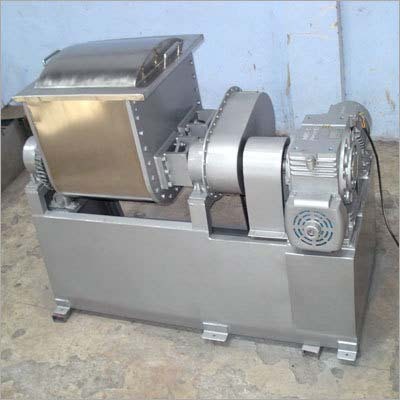 sigma mixer/Z blades mixer/kneading machine/sigma kneader with double Z/Sigma Blades, is to be used for mixing and kneading of low-to high-viscosity products in many industries such as BMC/DMC, Chewing gum, candy/sugar paste, plasticize/silly putty, Hot melt adhesive , silicon compound, CMC/Cellulose, Electrode paste, carbon, pencil leads, soap, pigments, inks, plastic ect.